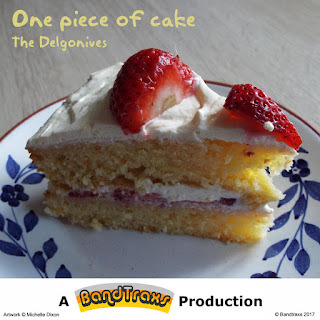 Following on from the 2017 release of 'Tell me (crying over you)', The Delgonives perform this exciting new song, again with a familiar 1960s groove. 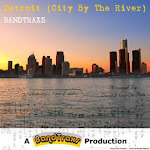 Carl Dixon wrote the song with a retro melody that takes the clock back to around 1966 and this production gives it a ‘Carolina Beach’ sound with sprinklings of Detroit and the 'Wall of Sound' here and there. This is the tenth 'Delgonives' release in the last few years and has a number versions that are available to download, including the solo saxophone, organ and vibraphone mixes. My guitarist offered a sitar effect track which I thought was quite novel, so track 8 features that idea. 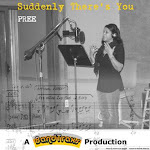 All vocals were recorded in London/England, but the guitars, bass and horns were recorded in Nashville and drums by Drew Schultz in Detroit. The notion of multiple mixes is to give listeners, radio stations and potentially TV stations a choice of recordings that fit their programming. 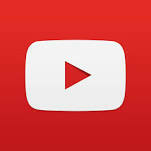 This initiative also exploits the technology that allows experimentation to another level with master recordings. 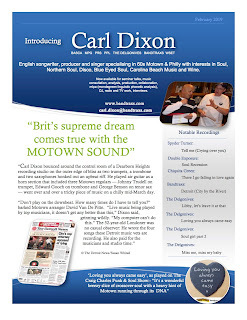 In the past Hull born Carl Dixon has co wrote and produced with celebrated Funk Brother guitarist, song writer and performer Dennis Coffey songs featuring Spyder Turner and Cherokee Pree in the ‘Motor City’ along with some other notable ‘Funk Brothers’ and session musicians back in 2008. 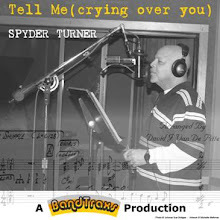 'Tell me (crying over you)' and 'Glory Fleeting' featuring Spyder Turner on lead vocals, 'Suddenly there's you' featuring Pree on lead and 'Detroit (city by the river)' by Bandtraxs were all released successfully from that session and are available to purchase or stream. Later that same year Carl teamed up with Philly legend Bobby Eli where they co wrote, along with singer songwriter Chiquita Green, four new songs in his ‘Grooveyard’ studio. The two releases from that session were ‘There I go falling in love again’ by Chiquita and ‘Soul Recession’ by legendary Salsoul recording harmony group ‘Double Exposure’ famous for such releases as ’My love is free’, ‘Ten percent’ and ‘Every man’. In addition, Carl also has a co write with UK soul singer Diane Shaw and producer Andy Birkinshaw called ‘Good Lovin Man’ which is on her album ‘Love, Life and Strings’. 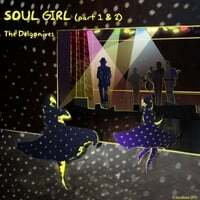 Carl and The Delgonives are also proud to have co produced and sang on Robert and Mike Paladino's 'Soul Girl' parts 1 & 2 in 2015. This song is a derivative of 'The Four Winds' original 'Playgirl' released in 1963. Carl and Robert created this masterpiece remotely via Internet collaboration. 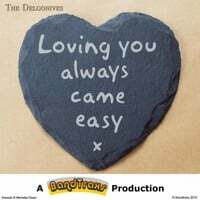 Stay tuned for other releases from 'The Delgonives' like 'Dear Tammi'.